The gated community motto: Come and live in a lie while ignoring life! The papers, books and studies related to the urban development of gated communities in the Global South have provided lots of information by problematizing the history and politics behind the imaginary of these projects. Urban developers all over Latin America, Africa and Asia are building hundreds of communities and apartment buildings that imitate European and Western Styles of construction, lifestyle, norms and regulations. This morning I got my hands in one more of these advertisements for a housing project located in a recently developed dormitory city near Guatemala City, Guatemala. 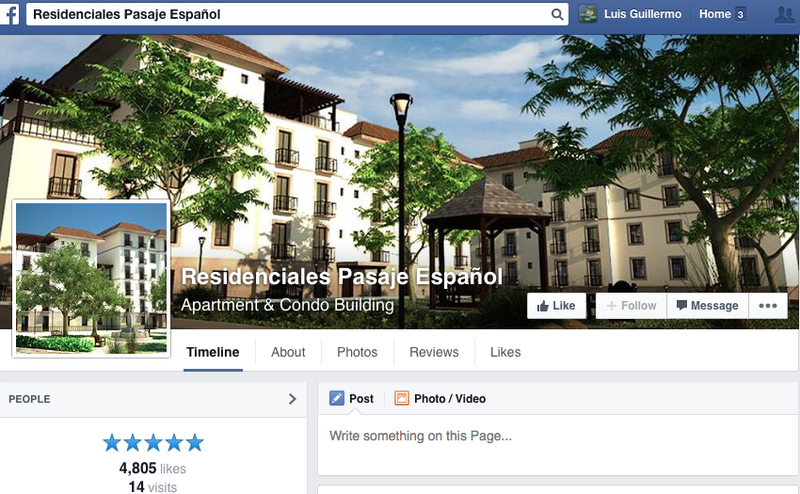 The community is called “Residenciales Pasaje Español” and the development aims at replicating the lifestyle of a Spaniard ideal of a community (while, of course, ignoring reality about Spain’s complexities). The advertisements are all directed at the appeals of the growing middle-class market in Guatemala which is backed by a search for: affordable housing, accesible parks, gated walls around the housing project, 24/7 private police service, white houses that offer access to parking spaces for family-sized cars. All of this providing a “theme-park” feeling that enables you to transport yourself from the violent and insecure life outside of the gates. Guatemala City and the dormitory cities around it are inhabited by aprox. 3.5 million people with more than 1 million cars and the figures are quickly rising. Many of the gated communities are 1 or 1.5 hours away from most of the office and industrial areas and traffic jam is a constant worry for this people. Alienated from crime and lack of rule of law, these gated-communities offer an escape from public worries to taxpayers and an excuse to ignore the country’s multiple problems. 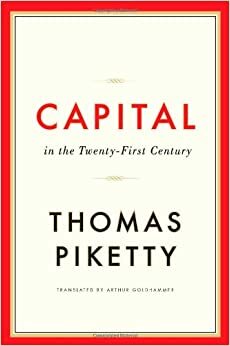 But as any other theme-park there are many flaws and dangers in the aim to replicate the “ideal society”. The complex is located straight next to a line of huge power towers that represent a health menace to the people that will live in the houses. 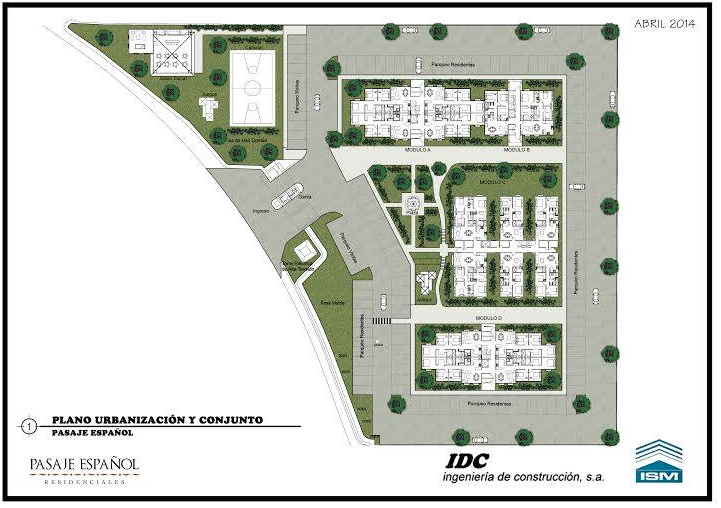 Also, the gated-community is surrounded by hundreds of new houses and dozens of new gated-communities that once completed and sold will represent an increase in the traffic jam outside of the “housing dream”. Unfortunately, this is not a conspiracy theory. 2013 is a decisive year to deter the escalation of a war between Japan & the People’s Republic of China. Who can stop it? According to this impressive video, the United States of America has a decisive role to play in this global arena. A major conflict between the region’s two largest economies would not only impose a harsh dilemma on U.S. diplomats, but also have a significant impact on the entire global economy. It is in every nation’s best interest that the Chinese and Japanese settle their territorial dispute peacefully. 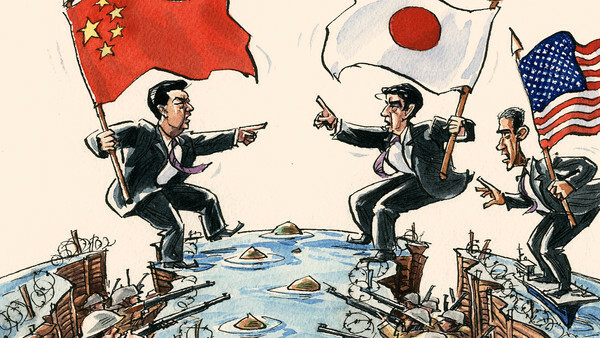 “The conflict between China and Japan has put the United States in a precarious position: if a full-scale war were to erupt, the U.S. would be forced to choose between a long-time ally (Japan) and its largest economic lender (China). Last year, China’s holdings in U.S. securities reached $1.73 trillion and goods exported from the U.S. to China exceeded $100 billion. The two countries also share strong economic ties due to the large number of American companies that outsource jobs to China. To read the entire video transcript please visit this link. 22 February, 1784: The first American trade ship to China weighs anchor in New York City. The history of trade between China and the West is fraught with conflict and cultural complications, as demonstrated by the audacious 19th-century attempt by the British to steal China’s tea crop and transplant it to its own plantations in India. The caper is recounted in Sarah Rose‘s FOR ALL THE TEA IN CHINA. In the dramatic story of one of the greatest acts of corporate espionage ever committed, Sarah Rose recounts the fascinating, unlikely circumstances surrounding a turning point in economic history. By the middle of the nineteenth century, the British East India Company faced the loss of its monopoly on the fantastically lucrative tea trade with China, forcing it to make the drastic decision of sending Scottish botanist Robert Fortune to steal the crop from deep within China and bring it back to British plantations in India. Fortune’s danger-filled odyssey, magnificently recounted here, reads like adventure fiction, revealing a long-forgotten chapter of the past and the wondrous origins of a seemingly ordinary beverage. A depiction of the battle of 1524 in which the Spanish conquistadores defeated the Army leaded by Tecum Umam. The term Globalization refers to what many different historians considered a process of interrelation (or unification) of the world. It was a process of cultural, political and economic relations that for the first time in history united all mankind. One of these critical events of unification and clash of cultural and political relations took place in February 20 1524. This day is commemorated by Guatemalans to remember the leaders and events of the “The battle of Llanos del Pinal“ ((The Society of Geography and History of Guatemala documented that this battle actually took place on February 12 1524) which took place in the vicinity of the K’iche’ Mayan city of Xelajú (located in today’s mountainous area of Guatemala in Central America). 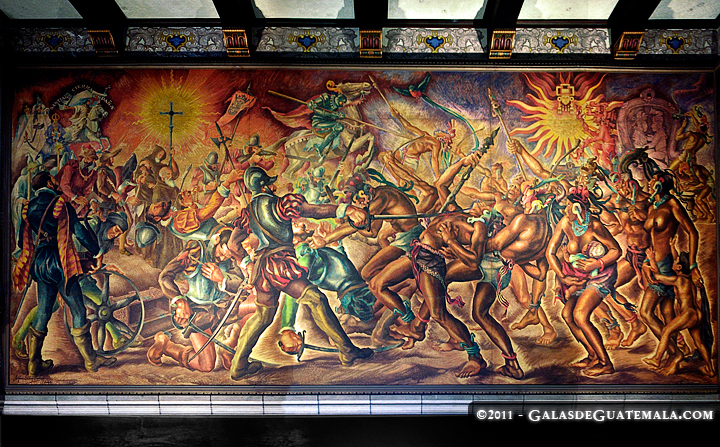 In this battle, the K’iche’ Rajpop Achij Tecum Umam (Guatemala’s National Hero and K’iche’ Mayan Captain of the army) commanded an army of 72,000 warriors (as narrated by the Chronicler Francisco de Fuentes y Guzmán) that fought against the invading hordes of the conquistador Pedro de Alvarado and his indigenous allies from the territories that are today the South of Mexico. 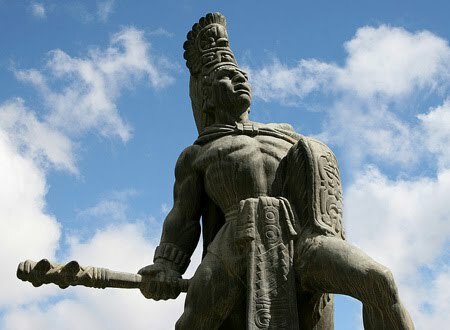 While the invaders defeated the K’iche’ army, the chroniclers of this battle remembered Tecum Umam as the glorious warrior and miraculous hero that started to be referred in the narrations with epic roles and anthropomorphic abilities. After this battle that “tainted all the neighbouring rivers red of blood” the Spanish conquistadores continued their invasion in the following month of the city of Q’umarkaj (also known as Utatlán). This secured for them the hegemony over the other less powerful cities of Iximche, Mixco Viejo, and Zaculeu that were located in the Southernmost part of the Sierra Madre mountain range. The aftermath of this battle concluded six years later with the Quauhquechollan alliance of the conquistador Jorge de Alvarado (brother of Pedro de Alvarado) and their Nahuatl allies from the city of Quauhquechollan that gave the Spanish and absolute control of large part of Mesoamerica. By the beginning of the Spanish conquest the territory of Mesoamerica the Mayan Civilisation was already extinguished and dozens of different indigenous tribes leaded by caciques, warriors and priests controlled weaker and less advanced forced-labor societies. This enabled the conquest of the territories to be fast and easy. Just a decade later, by the 1540s, the new elite that ruled this forced-labor societies had already established itself with a mixed Spanish-Indigenous head in control and started the process of acculturation, integration, evangelisation, assimilation and reeducation of a society that went from a tribalist type of life into a mercantilist economy ruled from a metropolitan and global Empire with its head 5,400 miles away in the city of Madrid. Since 1524, Mesoamerica joined the global community of trade, commerce, acculturation and universalisation of traditions and costumes. This is an important junction that should be remembered by all of us. Is Globalization finally saying “STOP!” to the Catholic Church? After only seven years as Head of the Catholic Church, the resignation of Pope Benedict XVI is an astonishing news. This may be a message on how Globalization affects such global organization. The election of Pope Benedict XVI followed all the rules of the Church but did not listen to the “new” rules imposed by globalization: which include good advertisement, global awareness, and above all intercultural appealing to standards of ‘universal friendliness and empathy’, among others. I wrote an article titled “Parishes Fail to Market Catholicism to Hispanics (pdf available here) ” (National Catholic Reporter, Vol. 43, No. 12 2007) discussing how the Catholic Church has failed to Market Catholicism among Hispanics. Benedict XVI was elected on 19 April 2005 in a papal conclave, celebrated his Papal Inauguration Mass on 24 April 2005, and took possession of his cathedral, the Archbasilica of St. John Lateran, on 7 May 2005. Today, February 11, 2013, Benedict announced that he would resign the papacy, effective February 28, due to age and ill health. His health may be have been an issue. 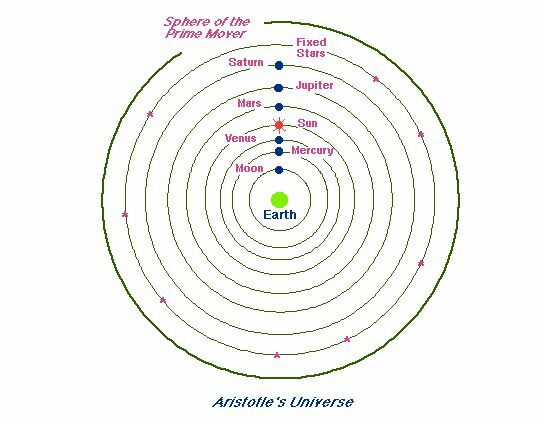 However, it seems to me that the real problem started when the Papal conclave of 2005 elected him above the other contestants for the Pope position without taking notice of all the changes that institution has gone through centuries. Source: Author’s calculations based on data from PRB’s World Population Data Sheet 2004 and accessed at http://www.catholic-hierarchy.org. Globalization is slowly forcing them to adapt to this new demographics and the election of a Latin American (a Mediterranean look would suffice) or African Pope could bring some new Fresh air to this archaic institution. The Latin America region already represents 42 percent of the world’s 1.2 billion-strong Catholic population, the largest single block in the Church, compared to 25 percent in its European heartland. In 2005 among the “popeable” (one who might become pope) where also the cardinals Carlo Maria Martini, who died last year and obtained 40 votes in the first ballot versus the popular Italian cardinal Camillo Ruini who also was a contestant for the position in that initial ballot. Cardinal Ruini has been very active in the mass media and was one of the cardinals who most often appeared on Italian television, newspapers and magazines. I would suppose that his election as a new Pope in the Conclave of cardinals that will choose the next pope in mid-March is very high. Camilo Ruini is very popular among the “Reformer” side of the Catholic Church as the news inform (he is also more photogenic and could appeal to the Hispanic followers easily). Lets see what happens in March, 2013 with the new Papal Conclave. Meanwhile, I share with you a documentary on the new face of this Eurocentric organization that is finally (slowly) changing its own look!